If you can’t beat ‘em, join ‘em? That’s certainly the approach companies in the radiology sector have taken in recent years. In fact, the number of radiologist practices consolidating or merging with other practices and hospitals is staggering. 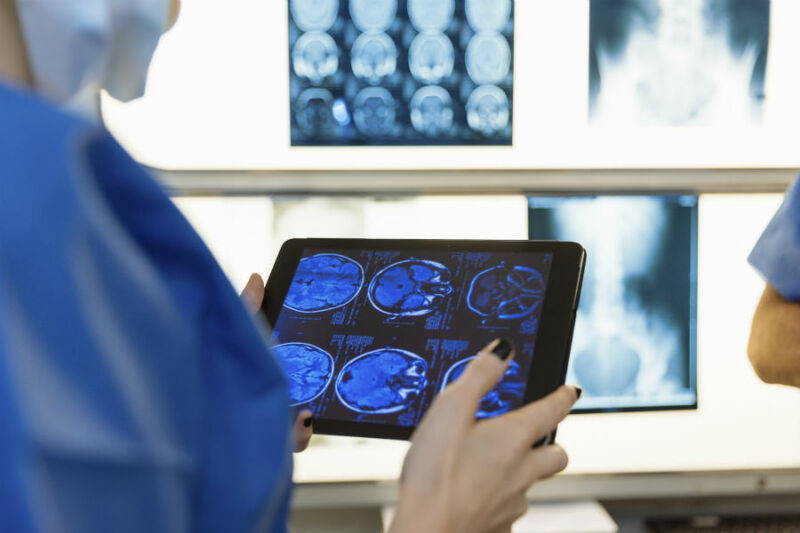 According to Forbes, there has been massive consolidation among radiology groups with 7 of the top 20 radiology practices in the country completing a deal within the last two years. What’s driving them to form these partnerships and driving radiologists to adapt or get out? One reason for the growing industry consolidation is the increasing demands from hospitals and doctor group clients to provide better, yet less expensive services. The competition to follow increasing regulations, while staying on top of new (and expensive) technology and the expectation to provide better customer care at a lower cost has convinced many practices that the only way to remain competitive within the market is to join forces. Radiology isn’t the only sector that has followed this healthcare and medical industry trend. Other groups, including anesthesiologists, physical therapy, dermatology, and others have sought out consolidation or mergers as a way to cut overhead costs, appeal to hospitals and payers, gain access to more funding for technology and countless other reasons. While the reasoning seems sound for practices looking to be more competitive when they can’t seem to do it alone, it often forces radiologists employed by private practices to adapt to varying levels of change. A changing culture can be hard to accept, especially for those accustomed to running their own practice. Consolidation can spark fear in those working at a private practice regarding adapting to different practice models, adapting to the new culture, and potentially losing autonomy in their work. Radiologists working within a private practice may find themselves becoming employees of a hospital or clinic they didn’t choose to work for and even worse, it could ultimately become a stopping point in their career. How can radiologists escape a consolidating practice? The answer for medical professionals, including radiologists, could lie within contract staffing opportunities. Medical professionals choosing short or long-term contracts have many advantages over working in a hospital or even a practice. For one, there’s flexibility in several areas: flexibility to choose the position that best suits them, work-life balance, ability to travel and more. Medical professionals – including radiologists – can walk away from a never-ending schedule and the burnout that comes with it by transitioning their career to work as a medical contractor. How? As a medical contractor, you’re offered the opportunity to choose the type of work you want to do – whether it be part-time, temporary, or simply want to switch things up every once in a while. It could even mean the opportunity to test run a particular position, hospital or clinic before you commit to a permanent position. Transitioning to become a medical contractor can offer you the work-life balance you’ve been looking for and make your work more enjoyable – on your own terms. At JIT Staffing, we specialize in the placement of healthcare providers in over 65 different specialties. If you want to make this transition, but aren’t sure where to begin, contact our team for the resources and information you need to get started today.